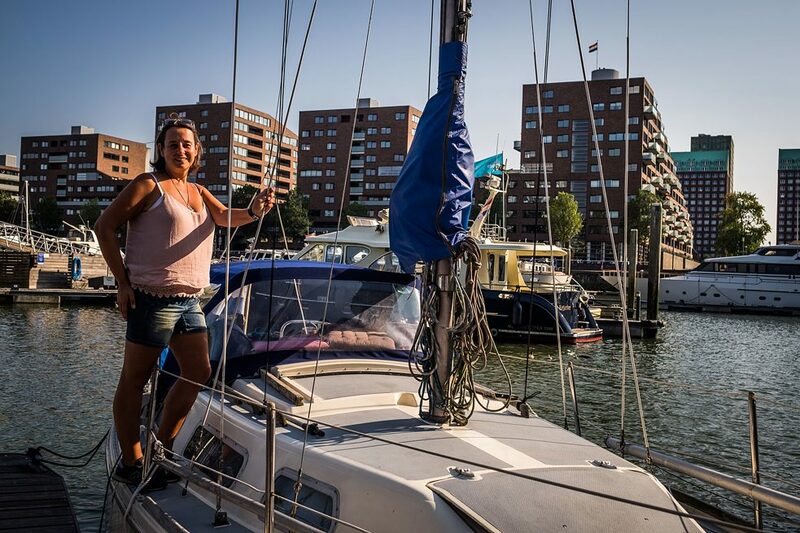 When Yvette saw that she could live in the storage port of Rotterdam on a long-term basis, she was enthusiastic right away. "It feels like I'm always on holiday! Who wouldn't want that," thinks Yvette. 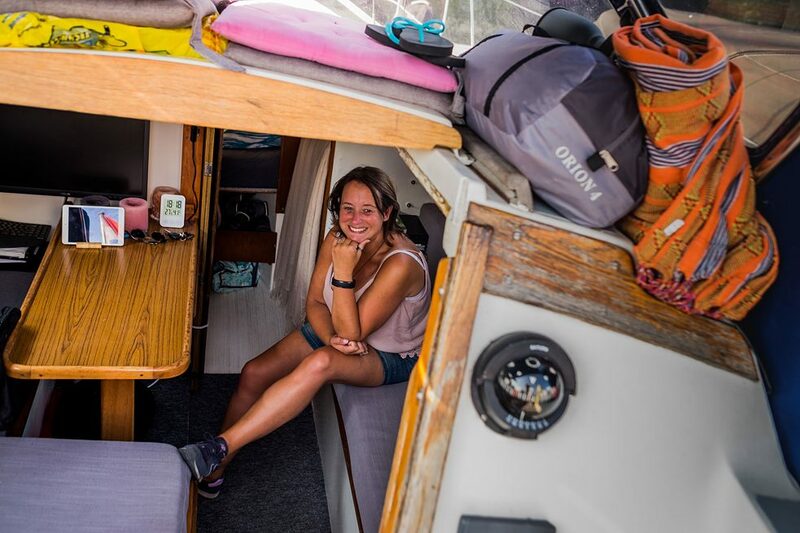 Her requirements for living on a boat included that there was a toilet as well as a solid bed and that it was possible to stand upright in it. It would be too small for two people, but Yvette is completely happy on her own. "I've always said that I wanted to be mortgage free before my fortieth birthday, even if I didn't know exactly how to do that. Although I’ve never been sailing as a child, I knew that living on water fascinated me. But I only discovered this when I was an adult. I lived in a single-family apartment/house in Hilversum and at a certain point, major renovation work needed to be done. But I just didn't feel like doing it. Being able to enjoy life and having more freedom, that’s what I wanted. When I visited a friend in Rotterdam I was looking down at the port from his apartment and saw lights everywhere. That’s when I realized that it was possible to live on a boat permanently. Although not every port in the Netherlands offers this, the warehouse port in Rotterdam does so. So I eventually decided to sell my house and instead search for a houseboat to live on. 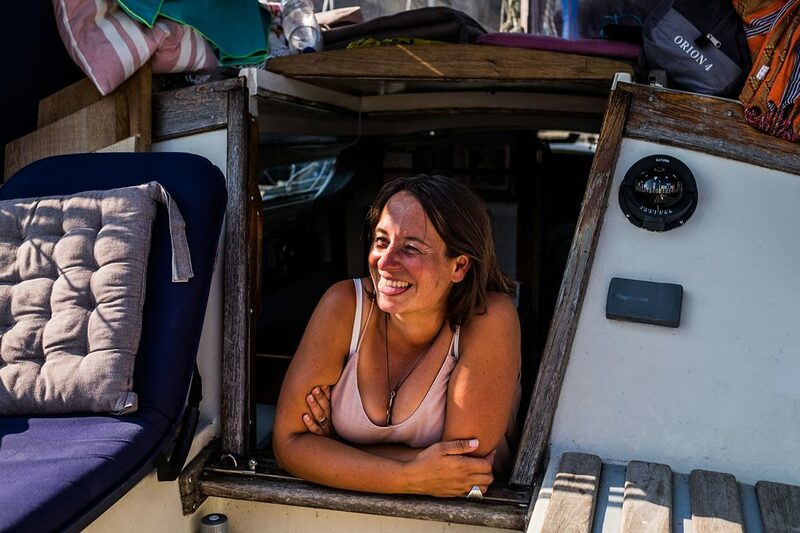 Yvette de Jong has been living on her sailing boat ‘Triskele’ for more than two years now. “On my 40th birthday the transfer of ownership of my house had been completed. 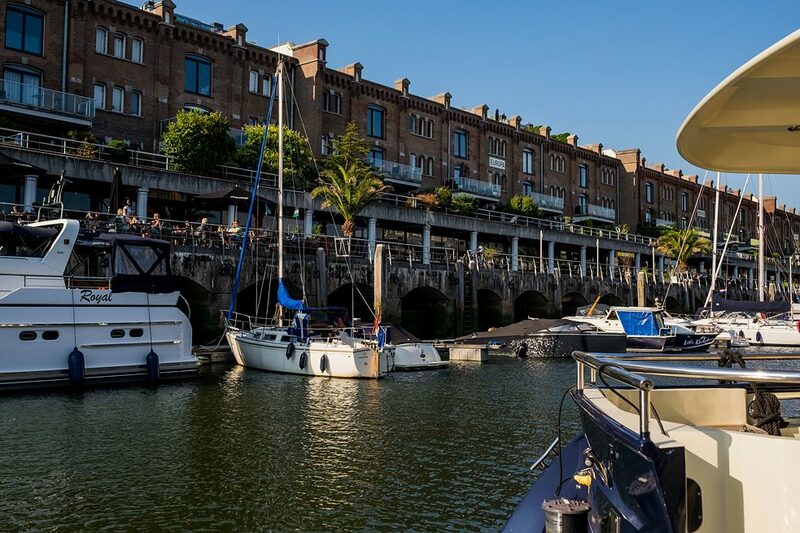 At that time I had already been living on the boat in Rotterdam for half a year. Before that, a great deal of preparation time was necessary. Especially the fact that I had to part with many things was a big challenge. But it was a challenge I managed step by step. In the future, I think it's (or: it would be?) great to accompany others in this process, too." The boat is 7 meters long, and only one section is roofed. "Well, you have to be quite organized to be able to live in such a small space. When I bought the boat, I had a few criteria nonetheless: It should be possible to stand upright in it, and there should be a toilet and a solid bed on board." She thinks it's wonderful. "It feels like I'm always on holiday. I have a wonderful view over the city and the water. Everything I need is right around the corner". In the winter time it can get cold on board, but Yvette has a kerosene stove and an outer tent that can be attached to the deck. "It is really cozy; I lay down sheepskin and put up candles, the cold is no problem for me." She’s not sure yet for how long she wants to live on the boat." . However, it is not possible to live here with two people, so let’s wait and see what happens..."
Sanne Derks is a Dutch photographer, focusing on social documentary. Her works have been published in El País, Deutsche Welle and Al Jazeera international, among others. With a doctorate in cultural anthropology, a master's degree in cultural psychology and a master's degree in photojournalism, she combines anthropological and journalistic issues in her photo projects.